OK so this recipe is the easiest recipe in the world. I purchased everything for it at Trader Joe’s. 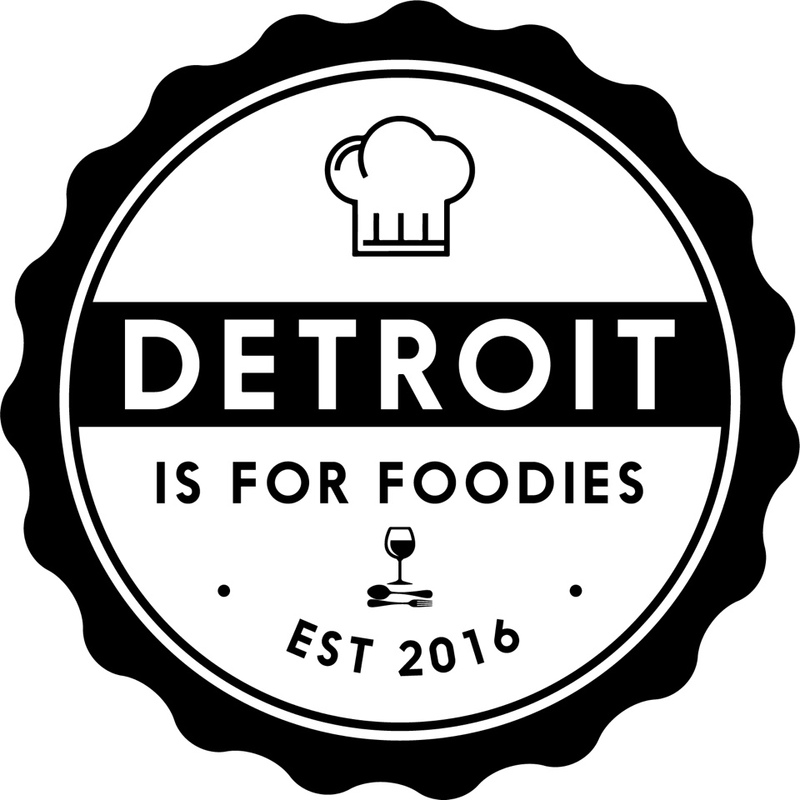 And when I say everything, I mean the three main ingredients it takes to make it to your plate. Get to it, and make this Sesame Salmon with Zoodles. I started with the salmon. I cut a larger filet in two. I seasoned it with salt and pepper then seared it in a little bit of olive oil, skin side up. Then, I cooked it for approximately 4 minutes then turned it skin side down and cooked for an additional 3 to 4 minutes. I removed it from the pan, sprinkled it with fresh lemon juice and sesame seeds then I let it rest. While the salmon was cooking, I washed the zucchini and cut the ends off. I placed the zucchini in my spiralizer and got myself some zoodles. I placed the zoodles in a large saute pan with a touch of olive oil and cooked them for 4-5 minutes. These babies cook super fast. Turn the heat off, then add the Carrot Ginger Miso Dressing and toss everything together until the zoodles are evenly coated. 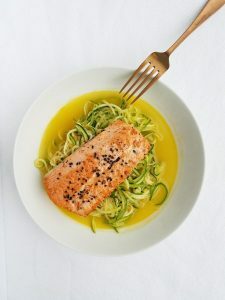 Use a deep dish or bowl to plate this meal as the zoodles release quite a bit of water and so does the dressing. This is a beautiful, clean, healthy and super quick dinner. I hope you enjoy it. Saute the salmon in olive oil, skin side up for 4 minutes. Flip it skin side down and cook for another 3-4 minutes. Remove from heat and sprinkle with lemon juice and with black sesame seeds and allow it to rest. Heat a good drizzle of olive oil in a large saute pan. Add the zucchini and cook for 4-5 minutes. Remove from the heat and add the dressing. Toss well. 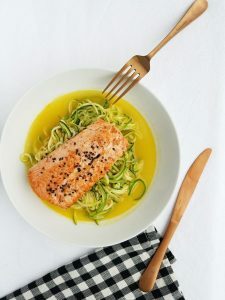 Plate the zoodles in a deeper dish or bowl and top with a salmon filet.